History: The Beembe live north of the Zaire River in the Congo (Brazzaville) on a plateau that rises above the Niari River. 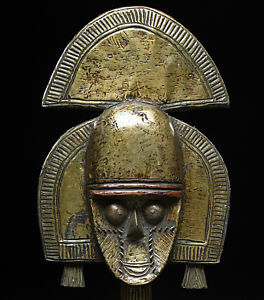 The Beembe have been closely linked to the Kingdom of the Kongo since at least the 15th century. Although there are numerous theories about their origin, it seems very possible that they arrived in the region in two separate migrations: some had lived in the region since before 1485, while others split from the Kongo at the time of a battle with the Portuguese in 1665. Their neighbors to the north are the Teke, who were the original inhabitants of the Dondo Plateau. The Beembe are matrilineal and polygamous. Economy: The Beembe are fishermen, and also farm, raising peanuts, manioc, and sweet potatoes. Men do most of the hunting and fishing, and women do most of the farming. Hunting and gathering continue to add significantly to their diet. Fishing is carried out with nets, baskets, and poison, and hunting with firearms, dogs, and nets string through the forest. Political Systems: The family is the most basic unit, with several families grouped into clans (mvila). The only system of political authority is the elected religious chief, mfumu mpu, who is responsible for honoring the spirits of the ancestors and controls the family nature spirits nkisi. As he exercises political power, he is advised by a council of lineage elders (bambuta). Religion: The Beembe honor both the spirits of their ancestors and nature spirits. Power figures are carved to embody nkisi, or spirits that fight witchcraft. The relics of important ancestors are kept in small, carved figures or are wrapped in cloth. There are healing cults called Mpodi, Ngombo, and Nkondi.